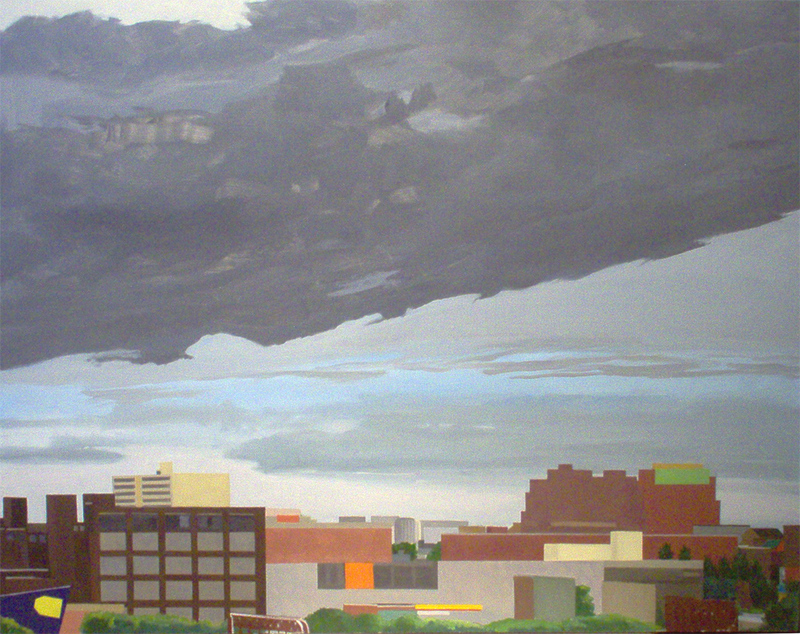 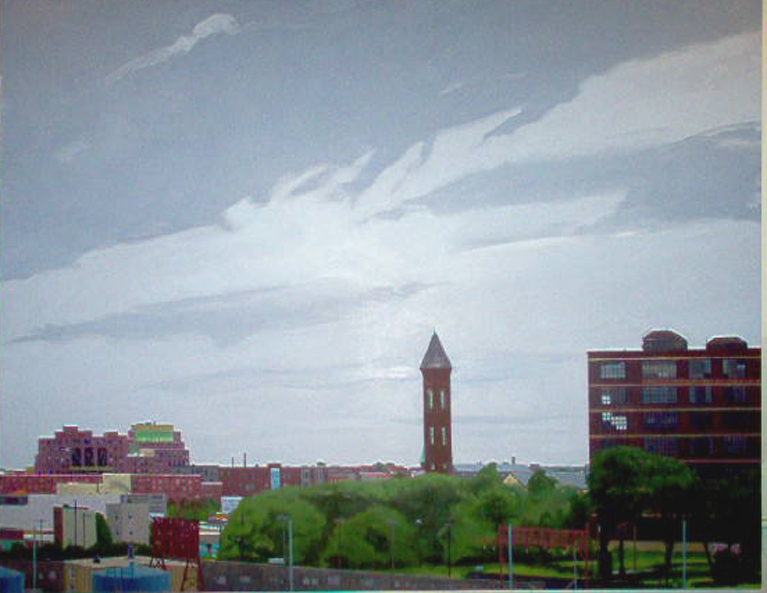 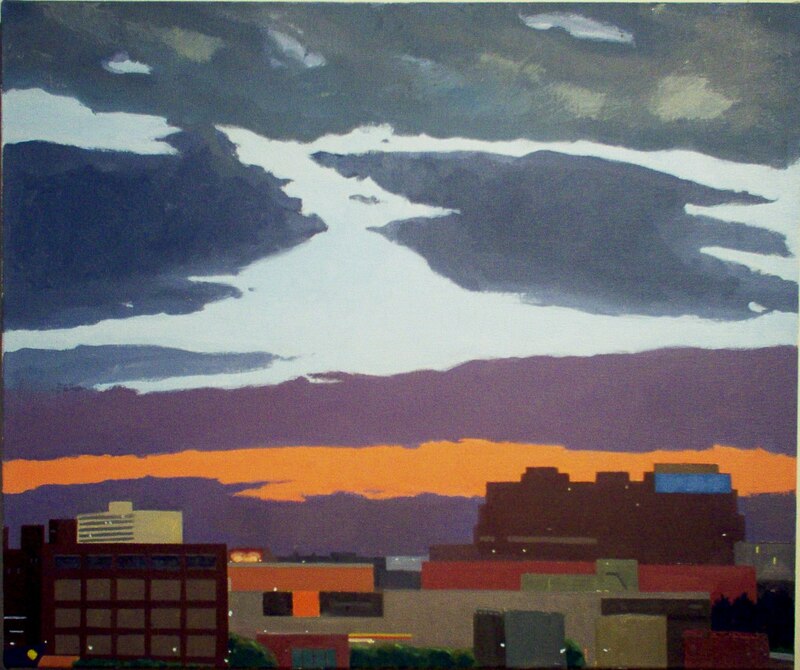 “Jersey City; Grey Sky”, oil on canvas, 23 1/4″ x 26″, 2012, 1,200. 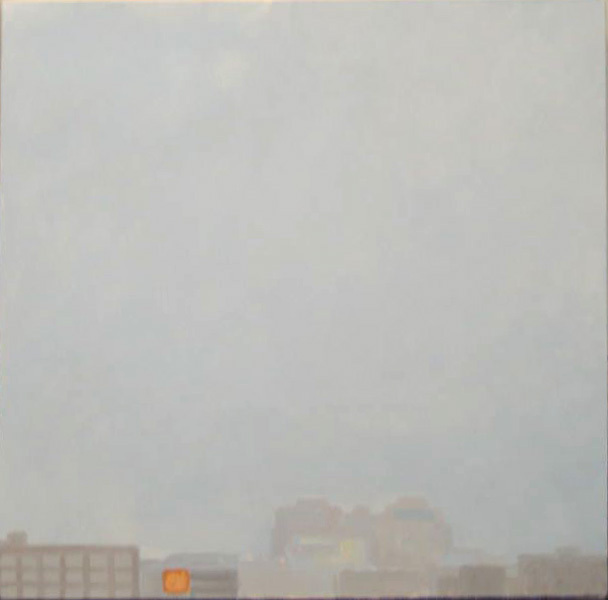 Rain, Jersey City, 10×10″, oil/linen, 2011, 700. 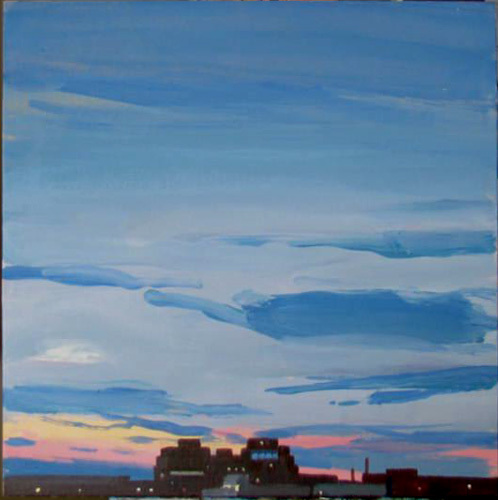 Fortress, Pink Stripe, acrylic on panel, 12×12 inches, 2009, 800.0. 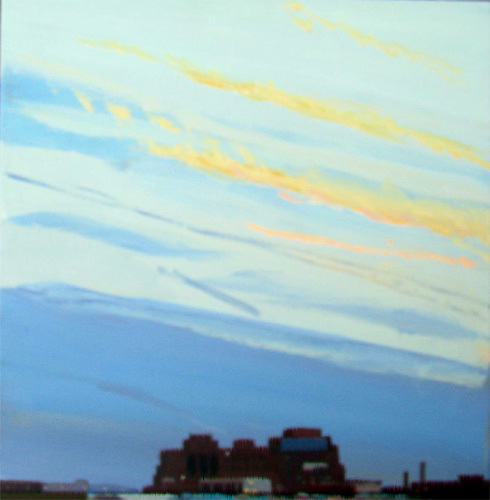 Fortress, Early Sunset, acrylic on panel, 12×12 inches, 2009, 800. 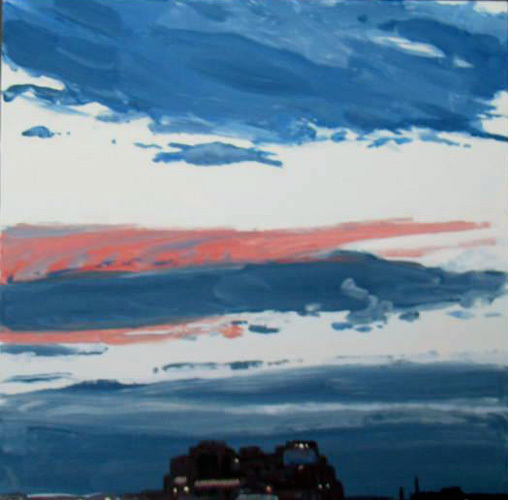 Fortress, Blizzard, oil on canvas, 24×24 inches, 2009, 1,400. 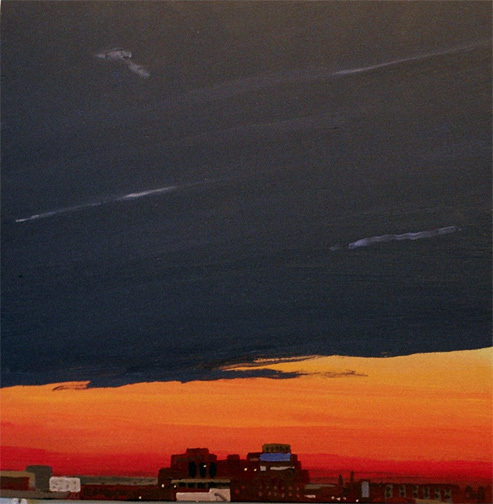 Hit “previous entries” below left.